Grewelthorpe: School History. Part 3. Grewelthorpe school history Part 3. Corporal Punishment was a part of everyday life in British Schools until it was outlawed in 1987. 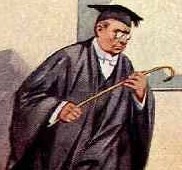 Many adults today will have vivid memories of headmasters wielding the cane or the slipper and the debate continues as to whether it did any good or not. The Master had to keep a register of all the punishment he meted out. The date, the reason, the name of the child, and the form the punishment took. Henry Johnstone. received one beat on the hand as punishment. 2 hours after, shortly before school closed, he was seen picking his hand with a pin to make it bleed. So he could tell his parents that the Master had done it. The Master punished him again in front of the whole school. George Moore. caned for running in the street and being absent for no reason. Thomas Gale. shook his fist at Miss Dale and used obscene language. He was caned twice on each hand and 4 times on his seat before the whole school. Head master Frederick Pickles received an angry note from one Mother saying he had no right to punish the scholars and she would take it further. There is no record that she did. It wasn’t just boys who got the cane. Elizabeth Pickles. had been circulating amongst the children papers on which were written figures which were easily construed into obscene words. She was punished severley. Hilda Atkinson & Ivy Waite. 1 stroke on each hand for inattention. Martha Rawson. 2 strokes on hand for untruthfulness. Edith Crabtree. 2 strokes on hand for continual talking. And one girl aged 12, 2 strokes on each hand for stealing books and writing her name in the fly leaf.